Please allow me to take a moment and express my sincerest gratitude for the work of the Norwegian Nobel Committee, for recognizing extraordinary achievements in science and humanity. Few awards come with the prestige of the Nobel Peace Prize, and for good reason. Given the closed procedure for nominations, limiting nominees to be submitted by specific groups or persons, seeking a nomination for a candidate for the Nobel Peace Prize is a very challenging task, but in the case of Naoto Matsumura, I feel that this is well worth the trouble. In March of 2011, a 9.0 magnitude earthquake struck off the shore of Japan, and was soon followed by a Tsunami. This caused the destruction of the Fukushima Daiichi Nuclear Power Plant, and immense loss of life for residents of the region, over 1,600 from the immediate disaster conditions, and hundreds of thousands more thereafter have been estimated, many from radiation and mental health effects. This did not account for the loss of life for wildlife and domestic animals of the same region. 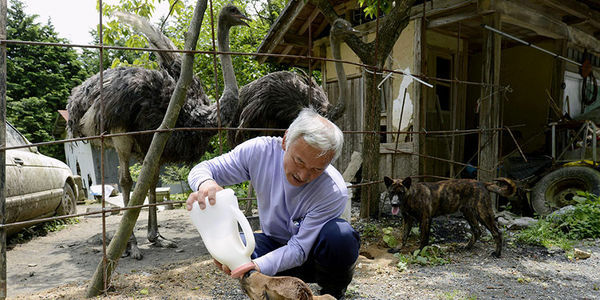 For four years, Naoto Matsumura has been returning to the region, to bring uncontaminated food and water, and aid for the animals that were left behind. He cares for countless animals, for their health and welfare. He has risked his own health and wellbeing to care for the animals, and his story is amazing. We, the 100,000 plus signers of this petition ask that you share his story with your distribution lists, to those who qualify to submit nominations, so that they may consider nominating a man who is a modern-day St Francis, and a beacon of hope for all who value life for the animal kingdom. Thank you for your time, and please don’t hesitate to contact me at mgeorgepimentel@aol.com. Please help! Share this important petition on your Facebook wall, Twitter, and LinkedIn! We are in the early stages of this important movement! A Nobel Peace Prize for Mr. Matsumura will bring tremendous awareness of this struggle for all animals, and not just those in the nuclear zone of Fukushima, Japan. Please share!